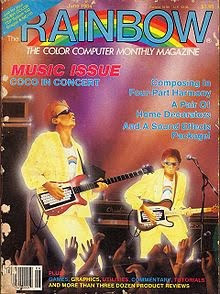 When I was a boy, the closest thing we had to the world wide inter-web was The Rainbow, a monthly computer magazine for our TRS-80 Color Computer 3 (a.k.a the Co Co 3). 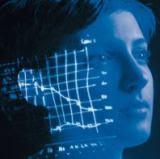 The Rainbow published the printed code for a variety programs and applications, which you "downloaded" into your machine by typing them out, line by painstaking line. Hours (sometimes days) later, you'd finally run the program, hoping beyond hope that you hadn't made an error in the transfer from print to screen...and inevitably you had, and inevitably you'd spend hours (sometimes days) going back through it again, line by painstaking line, looking for the proverbial "needle of error" in the proverbial "haystack of code." But at 14, I loved my Co Co 3. Pardon the maudlin moment of nostalgia here, but I logged untold hours on this little 128K wonder (yes, that's a "K," as in kilobyte. That was it: 128 of 'em. And you had to save your programs using cassette tape. Those were the days). Some of those untold hours were spent entering code from the pages of The Rainbow Magazine, but more of them were spent working on code of my own. I programmed exclusively in the Co Co 3's Extended Basic language, and, though I did develop a clunky-but-working word processor that I used to type up homework assignments, my primary interests were in the far less practical field of Game Development. I tried my hand at writing just about anything playable I could think of: text-based adventure games, first-person maze exploration games, shoot-em-up arcade-style games, Tolkien-inspired role playing games, weird versions of chess, flight simulators and battleship-type strategy games. And I learned first-hand about things like algorithms and symbolic logic and applied algebra, and Cartesian geometry and matrices and multi-dimensional arrays and animation and visual story telling and literary narrative devices and graphic design and systematic problem solving and who knows what else as I did so. I was reminiscing about my Co Co 3 the other day because my son's been working lately with some game development software called Game-Maker that he downloaded from the internet . As I've watched him become impressively proficient with Game Maker's drag-and-drop interface, programming his own versions of pong, and dodge ball and shoot 'em up arcade style platform games, I've been thinking a lot about apples falling close to trees and chips off old blocks and stuff like that. After my son had taught me the basics, I thought for old time's sake I'd try my hand at programming a game, which brings me at last to the point of today's post. Because part way into the project, I hit this wall where I wanted the little man to follow a path and slash at the bad guy with a sword, but it just wouldn't do it. I tried everything I could think of, but the little man just wouldn't follow the path. And in a moment of desperation I called out to my son, who was playing Wii in the basement: "Son! I need you." "I can't make the little man follow the path..."
"Be right there." He thumped confidently up the stairs. Looked for about 30 seconds at my code. Found the needle. A few clicks as he explained in patient tones what I'd done wrong, and suddenly the man followed the path as faithfully as a prize winning terrier graduating from obedience school. And as he went back to the basement and his Wii, having helped his Dad in his moment of need, I thought back to that day when the issue of The Rainbow hit the shelves with my karate game in it, and my Dad took me down to the local Radio Shack and bought every issue in the store. And I thought about how he told the clerk as he paid that his son had a program published in that issue. I'd looked away shyly, but deep down inside I stood up a bit taller, because here was this man that I most admired in the whole world telling a stranger: my son has what it takes. I wonder if this isn't one of the richest gifts a father can give his son: to call on him in a moment of need, to turn to him for help, to buy out the local Radio Shack when his accomplishment is on display, boasting on him to the clerk as he does so. Because when we, as men most admired by these boys who look up to us, assure them that they really do have what it takes, in these modest but potent ways, we invite them, too, to become men. After I was done preaching this Sunday, one of my friends said to me: "Okay: did you make a bet in Seminary that you could preach a sermon on one of the genealogies in the Bible or something?" The answer was no; but I do believe there's something important about standing under the whole word of God, all of it, even the strange or obscure corners of it, and letting it all address us as the word of God. To do this means hearing from its genealogies (and temple inventories, and tables of nations, and bizarre oracles and terrifying apocalyptic visions) as much as from its nice, neat, orderly Pauline discourses. And as ancient documents, genealogies are actually pretty fascinating texts-- theologically rich and spiritually verdant and imaginatively fertile-- or at least they can become so when you start meditating on them deeply. 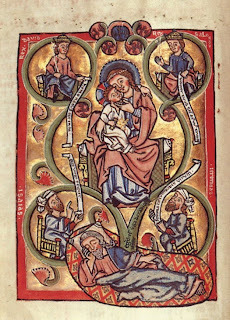 And speaking of theologically rich, spiritually verdant texts, here's a fascinating thought about the Matthean Genealogy that was a bit too esoteric for my sermon, but I thought I'd post here (the following comes primarily from W. D. Davies and D. C. Alison's 1988 commentary on the Gospel of Matthew, as reiterated in John Noland's 2005 commentary). Matthew lists 42 generations in all from Abraham to Jesus; then he takes careful pains to note that there were 14 generations from Abraham to David, 14 from David to the Exile, and 14 from the Exlie to Jesus. All of which is, in one sense, just plain wrong ... or put a different way, sure there were at least 42 generations from Abraham to Jesus, so technically Matthew's not wrong, but there were a lot more that don't get mentioned. Matthew's trimmed out a few generations here, and he's compressed a few others there, and sometimes seems to be using the term "begat" much more loosely to mean "was the ancestor of." None of this, it seems, is all that unusual for ancient genealogies, but the thing is: Matthew's taken pretty intent care to fit Jesus' genealogy into exactly 3 groups of 14. Almost as if the 3 x 14 schema was more important to him than any mere biological/biographical accuracy. As moderns, this might seem pretty fishy to us, until we remember that Matthew thought like an ancient, and probably an ancient Semite at that. And of course, for an anceint Semite, there is power in numbers (7,3,12,40 being among the more famous ones). Not only is there power in numbers, but names themselves also have numbers (it wasn't just the Beast whose name had a number after all). Every word had a "number" that mysteriously related to the word itself, a number that could be determined through various numerological systems known generally today as "gematria." 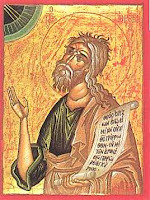 In Hebrew, the name David has three letters, dalit, waw, dalit, whose respective numerical values are: 4, 6, 4, making the number of David's name 14 (note that David's name comes 14th in Matthew's genealogy). According to at least one system of gematria, the mispar misafi, you also added the number of letters in the word to the "number" of the word, which would give us (loosely speaking), the numbers 3 & 14. This may get us to the bottom of Matthew's 3 x 14 schema for presenting the geneaology. Has he shaped Jesus' geneaology so that, in a strange way, it all "adds up" to the name "David"? Almost as if he were saying: not only is this Little Lord Jesus the legal descendant of David, but his whole family tree is actually "Christ-shaped"? Maybe not pulpit material yet, but it sure makes you think. A few posts back I quoted Deitrich Bonhoeffer's Life Together. In dredging up that quote, I went back to an old paper from Seminary that I wrote on the Chirstology of Bonhoeffer. Re-perusing what I'd written, I was struck by how Bonhoeffer's emphasis on the Mediation of Christ challenges us to reflect on the true true meaning of Christmas"--in a way that no Charlie Brown's Christmas special ever could. I heard Erwin McManus say once that the most spiritual thing we can do is to choose. I've been thinking about this these days: could choice be the most spiritual thing? Or at least, it shouldn't surprise us if it were. Anyways, our culture seems to think there's something deeply important about choice. From the moment we're old enough to watch a commercial, we're told that when we have choice, we have power. Choice is freedom. Choice is the potential to define our selves. And you can tell a lot about a person from the things they choose. The Bible knows about the spirituality of choice, I think; and I think that's why it points out over and over again that God is a choosing God. Because you can tell a lot about him from the things he chooses. So4000 years ago or so, two twin babies were born to a guy named Isaac. And God chose the younger over the older, even though he was the youngest; even though he was second place, second choice. And when God’s people where in slavery in Egypt, and God wanted to bring them into freedom, he chose an exiled shepherd to call them out, even though Moses admitted he was a man of faltering lips. And when God’s people asked for a King, God chose David, even though David was the eighth son of his father, younger, weaker, less significant than all his brothers. And when he brought Salvation to the world, he choose the things that we would have long since passed over: the lowly, the humble, the outcast. 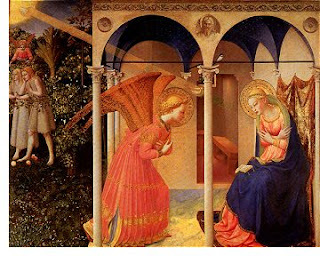 He chose a humble Hebrew virgin who had nothing to offer but simple acceptance of her place in God’s plan, and an incredible story about a Divine Conception. And he chose a poor Hebrew carpenter who had nothing to offer but a handful of nightmares telling him to get up and do inexplicable things like marry an unwed mother and flee to Egypt for no apparent reason. He chose this as his way of making peace between himself and his sin-blinded world. If it's true that you can tell a lot about a person based on the things they choose, then what does it tell us about God that in Jesus Christ, he chose the things that the world rejects, that the powerful look down on, and the wise despise? Because in Jesus Christ, he chose us, too. Ordinary, outsider, outcast, lowly, least, poor, insignificant, broken, failed, reformed, rag-tag though we were, he said: in Jesus Christ, I choose you. And in Jesus Christ, he frees us to choose back. He invites us to respond with the likes of Mary, who heard the Spirit choose her and answered: "I am the Lord’s servant—I am the servant of a God who chooses the humble—let it be to me according to your word.” And as we choose back like this, in response to his First Choice--we find ourselves following this Little Lord Jesus into a world where—like Gabriel promised Mary—nothing is impossible with God. Among the candidates to be baptized last Sunday were my two oldest children. It was a great privilege to be part of this with them, but there's something I've been thinking about ever since. While I was putting together my notes to introduce the baptism candidates, I wrote out this sentence: "It's a real honour for me to stand with my daughter and baptize her as my sister in the Lord." And I stopped dead at the keyboard, staring (through an accumulating mist) at those words on the screen: I'm baptizing my daughter and son, as my brother and sister in Jesus. 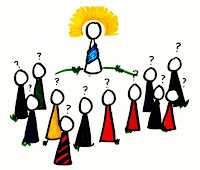 Often when we use the brother/sister terminology in Church it becomes whimsical, farcical, satirical or just plain empty. So I get why it's fallen out of common usage. But, remembering their baptism today, I'm thinking of Bonhoeffer. He stretched the concept of the Mediation of Christ to its inevitable conclusion, holding that: "within the Christian community there is never, in any way whatsoever, an 'immediate' relationship to one another ... but ... Christ [always] stands between me and another." And I wonder: Could it really be? Could it be that since Jesus, the God-Man, mediates all human relationships, then before they are my children, my son and daughter are first and foremost my siblings in Christ? And could it be that any claim I might make on them is always secondary to and limited by and transcended by and mediated by the claims of Christ on us, who always stands between us? And asking, I know the answer. An answer that has the potential to break open and heal and transform all my relationships. Before she is my mother, she is my sister in Christ. Before he is my father, he is my brother in Christ. Before she is my wife, she is my sister in Christ. There is no relationship I have that Christ hasn't first laid claim to, in a way that both rebukes and purifies any talk about me actually "having" a relationship with another human being who I might call "mine." And to look at them-- mother, father, son, daughter, brother, student, friend, neighbour, wife-- I must always look through the Christ who stands between us. To speak to them--mother, father, son, daughter, brother, student, friend, neighbour, wife--I must always speak through Christ. To really see them, I must first see the Mediating Christ who names them brother and sister. And what would community look like if we could do that? This Sunday was the second week of Advent; an exciting Sunday in our church, because we had a baptism service to go with it. Especially exciting for me, inasmuch as it was my first baptism service. I've led my share of worship jingles over the years, but I've never felt so like a worship leader as I did Sunday, when I stood in the water with Christ-followers as they received the sign of God's grace and salvation that is water baptism. 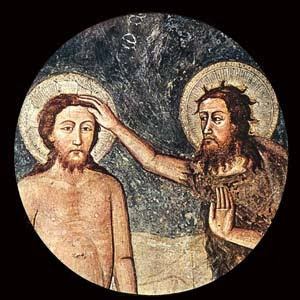 But as I prepared the material for Sunday, at one point it hit me: as with John the Baptist, so too with the sign of Christian Baptism. It should point us inexorably to Jesus. Sometimes I wonder if the language we normally use to describe baptism-- personal testimony, step of obedience, personal declaration of personal faith-- doesn't point us more to the candidate than to the Christ they are declaring. I get the words we use, and believe there really is something beautifully personal about being baptized that should be celebrated; but I also believe that baptism itself should always serve as a long, extended finger pointing the World adamantly to its Savior. The sermon recording was more than a bit fuzzy this Sunday (technical difficulties), but I thought I'd post it here for anyone interested. Luke 1:67-81 "The Right Song for the Wrong Baby"
Speaking of the start of Advent, here's my sermon from Sunday. Psalm 45 is a pretty obscure Psalm, but not so obscure that it doesn't get picked up by the New Testament writers. I feel that preaching from the Old Testament, and especially Christ-centred, Gospel-proclaiming preaching from the Old Testament that still respects the text on it own terms (instead of using it just as a ski-jump to the cross) is a really important part of a balanced homiletical diet. Important, but hard to do; here's one effort. This Sunday marks the start of Advent. Despite the fact that we generally jump the gun and make the month leading up to Christmas the season of Cramming-in-as-Many-Christmas-Parties-and-as-Much-Cheer-as-Possible, traditionally Advent is actually meant to emphasize the waiting, not the celebrations. At one time Advent was a season of penance parallel to Lent, hence the purple/dark blue colours; they added one week of "joy"-- the pink "Gaudette Candle"--because they thought that two full seasons of penance was overkill. At any rate, the Christmas celebrations were meant to happen after Christmas Eve-- after His arrival on the scene--and the time leading up to Christmas morning was all about the delayed gratification of waiting for it. But we don't do delayed gratification that well any more, so the Advent Season has sort of morphed into the pre-Christmas Christmas Season. And maybe there's something lost there; because there's something powerful in the delayed gratification, the spiritual preparation, the waiting of Advent. 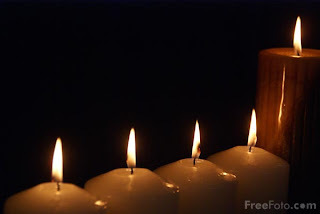 It's a time to remember how God's people once sat in darkness, waiting for the light. It's a time to recall their ache, as they longed for the deliverance that God had promised them through their ancient prophets. And it's a time to remember their hope, when they finally heard John the Baptist, that last great prophet of God's Coming One, crying out in the wilderness: "Prepare the Way for the Lord." But more than mere remembrance, Advent is a time for us to ask ourselves: if he had come to us that first Christmas so long ago, would we have been prepared? Are our hearts so tuned to the things of God that we would have recognized Salvation for the World as it stirred silently and scandalously in the womb of an unwed mother? Are we so spiritually awake to God's passion for the poor, his heart for the humble, his embrace of the outcast, that we would have named that child "Emmanuel"-- God with us-- as he squirmed newborn in the humble arms of the homeless virgin who'd just delivered him into the world? As we ask ourselves these questions during the Advent Season, we have the chance to prepare again. We can invite God to name, weigh and gently purge the things of this world that keep us unprepared for his coming. We can ask God to teach us again what it means to long for deliverance from the darkness of our petty sins, and selfishness, and pride. We can allow God to renew our own heart for the poor, the humble, the outcasts of this world. Because in the advent season, we remember not only that he came, but also that he is coming. As he came once, so he will come again-- quickly-- like a theif in the night-- when the hearts of many have grown cold or sleepy with waiting-- when many of the servants have given up the work and most of the lamps have run out of oil-- he'll return and claim his own. And as we prepare for the celebration of his first coming, so we prepare our hearts and renew our expectation for his Second Coming, asking and hoping that we'll found ready and waiting. 1. "Mothers of the Disappeared," U2. A haunting lament giving voice to the heartbreak of the Argentinian Mothers of the Plaza de Mayo, whose sons and daughters opposed the Videla and Galtieri coup d'etat in 1976, and were kidnapped, never to be seen again. 2. "Bonny Portmore," Traditional (Lorena McKennitt). A traditional Celtic lament mourning the loss of the ancient oak forests of Ireland, which were clear-cut to provide lumber for English ship-building projects. Sighing, "Where shall we shelter, where shall we sleep?" 3. "Strange Fruit," Billie Holiday.A vivid and arresting song decrying the lynching of two black men in in the southern US in the 1930s. A song about love and failure and the gapping space that yawns between human hearts. 5. "Siúil a Rúin," Traditional. The lament of an Irish girl whose darling has left to fight in the continental wars. But maybe we're missing something when we don't. We are, after all, called to weep with those who weep; and music that gives voice to the ache, I think, is also one of the good and perfect gifts of the Creator. You wouldn't necessarily guess it from the way their heart-cries have trickled down into the peppy hymnody of the church, but there is some pretty raw stuff in there. I remember the day I read Psalm 43, of "As the Deer" fame, and suddenly realized that this is not the melodic, somewhat soporific song we sing in church. Whatever else this"Maskil for the Sons of Korah" is for, it's not for crooning devotion. It's for crying desperation. Desperation for justice, for deliverance, for vindication, for restoration, for any food other than the tears that have been his sole nourishment day and night without count. This is lament, not love-song. A while ago, I was preparing to lead worship in my church, and asking about the missing laments in contemporary church music, and wondering what to do about it. I sat down and tried to work out an arrangement for "As the Deer" that might give a bit more room for the original ache of the Psalm to speak. Still thinking about the unsung laments of the people of God, I offer it here. I've been wondering a bit lately about my hearing, wondering if years of running a floor sander in my former life as a hardwood flooring guy, and years more listening to Van Halen really loud in my former life as a headbanger might have left some dents on my ear drum. So I took a free online hearing test this week, just to find out how I'm doing these days. And basically what it told me is this: I don't need to see any of the expensive audiologists that the free online hearing test people were advertising. I figured that was a good sign, considering that, as far as I could tell, the whole point of the free online hearing test was to get people to visit one of their expensive audiologists. But I'm still thinking about hearing. Because I notice that whenever Jesus talks about hearing, he always talks about it as though it was a deeply spiritual act. To the scoffers, he says: "Some people have ears, but they just won't listen for the things of God with them." To the seekers, he says: "Pay attention to how you hear, because the same measure you use to listen. that's the measure it'll be measured back to you." To the skeptics, he says: "Let my words sink into your ears: I have to be crucified at the hands of the wicked, and I will rise again the third day." And to the students of God-- his disciples, his followers, his friends-- he says: "Your ears are blessed because they hear." So maybe hearing is a spiritual act. I mean: to hear well, we have to be quiet, don't we? We have to trust that the Other will speak, and that what the Other has to say really matters. We need hearts that are completely open, and receptive and available to the Other. And that's a spiritual way to be. I'm trying to do a little spiritual audiology these days, asking how well I hear. Psalmist #85 sings: "I will listen to what God, YHWH, will say; for he will speak peace to his people, his saints." That's a daring thing to say: "I will listen." More daring than I know yet. Because to listen with obedience, we need first to really hear. We need quiet. We need ears made completely open and available to him. We may even need our Heavenly Audiologist to put his fingers to our spiritual ears-- like he did with that deaf man in Mark 7-- to sigh deeply for us, and look up to his Father in Heaven, and say from the depths of his Spirit: "Ephphatha." Which, as Mark takes pains to point out, means: "Be opened." May he give us ears that are truly blessed, because they truly hear. But as far as time signatures go, I find something really haunting in this strange, 7-beat rhythmic rarity. It doesn't jump out right away, but it niggles at your heart while you listen. You know something's not quite right- not all there-- or maybe too much there- didn't that last phrase start too soon? or the next one too late? But the song just seems so at peace with itself, so assertive and calm, making no apologies and offering no explanations, that you just figure it must be you. And the shortness of my list makes me wonder a bit about how dull and repetitive contemporary music-- and perhaps especially contemporary Christian music--has become. 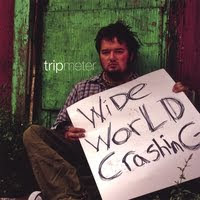 This is not a typical tirade against the vacuity or insipidity of today's Christian Music. I've read those tirades before and often they just come across sounding mean-spirited (as do the defensive comments they generally illicit). It's really just this: there is such a rich trove of musical possibilities waiting to be mined and cut and polished and offered to our Lord in worship-- 7/4 times and 5/4 times and microtonal scales and whole tone scales and who knows what else-- that sometimes it seems a shame we so readily settle for the same 3 chords and the truth in cut time. I was thinking about all of this a few years ago, and working on a song about Bible's use of the the number 7, and I got wondering: what would it be like to actually write it in 7/4 time? I wouldn't want a congregation to ever sing it, but here's my own 7/4 contribution to the list (I also sampled some Gregorian chant and played the solo on a Peruvian Zambona to help me make my point about musical diversity). PS-- I realize that technically, Jesus was on the cross for longer than seven hours. But what got me is that, taken together, the gospel accounts suggest that he was alive on the cross for six hours, after which (i.e. at the start of the seventh hour), he gave up his spirit. Last week I watched Dead Poets Society again. With autumn lingering on the edge of winter around here, and with a vague ache for rootedness creeping at the edge of my heart, I figured it was time. A spare two hours to myself is hard to come by these days, but I carved it out and popped in the tape (I still only have it on VHS), and settled down to watch. Somehow, well before Mr. Keating had wandered his classroom whistling the 1812 Overture, before Mr. Nolan's opening speech about the four pillars had echoed still, before even the candle flame of "the light of knowledge" had leaped fully to life in the opening frame, I found myself rooted, grounded, anchored once again. This actually started sometime about twelve years ago or so, at the start of one of my first semesters teaching English. I'd been teaching a unit called "Carpe Diem," a relatively new teacher, full of my own Keating-esque optimism for the power of the poetic word to awaken the dreams and inspire the imaginations of my students. After a good month of cajoling them to grapple with poems like Whitman's "O Me, O Life," Frost's "The Road Not Taken," Herrick's "To the Virgins, To Make Much of Time," our study culminated with a viewing of Dead Poet's Society. They mostly hated it, actually. One student sat reverently for a while after the movie was over; "Mr. Harris, that was deep," was all he could manage. But the rest just stared blankly, disdain mingled with detachment. But this was the start of a sort of routine for me. Every fall for the next few years I started my English course with a "Carpe Diem" unit that culminated with a viewing of Dead Poets Society. About five falls in a row, sometime around October or November, I would sit with a room full of sixteen-year-olds and watch this classic film about life, literature and daring to make one's life extraordinary. And every fall I found myself anchored again, grounded, rooted in a story that was me, but somehow bigger than me. And later, when I was on sabbatical, watching Dead Poets Society in the fall kept me connected to that story I was no longer living first hand: a story about introducing young lives to the evocative and emotive power of the spoken word; a story about that mystical something in the act of teaching that actually has the power to awaken dreams, challenge worlds, confront the inevitable sting of death. And later still, when I had left teaching altogether, and had become a student once again, the routine became ritual. Every fall, when autumn started to linger on the edge of winter and that vague ache for rootedness started to linger on the edge of my heart, I'd watch Dead Poets Society and enter once again into that story that was me, but somehow bigger. I could make this post all about what I love about this film: the subtle layers of meaning, the way it so effortlessly evokes place and time, the poignant cinematography of fall landscapes and neo-gothic architecture, the interplay of its themes and motifs and literary allusions, the way it inspires me to do more, be more. I could share how I started listening to classical music, and read Walden and Leaves of Grass, and learned saxophone, and recited "O Captain, My Captain" to my newborn son as I rocked him to sleep, all because of this film. But I don't really want to talk about Dead Poets Society. I want to talk about ritual. Our modern world, I think, has little place left for real ritual. As an adjective, "ritualistic" usually connotes "meaningless," dehumanizing," "inauthentic" ways of doing things. And as a noun, we usually attach adjectives like " dead," "empty," or "mere" to the word "ritual" to get the same semantic job done. In a world ruled by the tyranny of the new, the now, the novel, it's hard to make a case for things that are deeply rooted in age-old ways of doing things that haven't changed. And even many of the rituals we once had-- Christmas celebrations, weddings, funerals-- have become so customized and personally monogrammed now a-days that their actual potency as ritual is all but lost. Now my annual viewing of Dead Poets Society is not a genuine ritual, really. Because it's mine: it is not embedded in a larger community, or history, or corporate experience that gives it meaning beyond my own personal experience. But what watching the same movie every fall has taught me is that ritual doesn't have to be "empty," "dehumanizing," "mere." It can also be "grounding," "enlarging," "humanizing." Far from "dead," ritual invites us to step, if only for a moment, into non-linear time, to embed our personal stories in a meaningful story that is larger than ourselves. Like a kind of spiritual metronome, it can help us keep honest time, insisting that, however freely we improvise around the beat, we'll still land on "one" at the start of each new measure. So the most recent entry on Word Spy is "Paradessence." Now: the gospel is not a product, nor is its proclamation advertizing. At all. But I've been musing a bit these days about this word paradessence, and how it might point us to the deeply compelling mystery of the Good News. Because our Lord invites us to come to him for perfect rest in our weariness, and there he calls us to take up the burden of our cross and stagger after him to Golgatha. He came inviting us to lose our lives in him, so that we might find life and life more abundantly. In his grace he meets us just as we are, and then calls us to be perfect as our Father in heaven is perfect. This is the paradessence of the gospel. It's a proclamation that simultaneously offers us perfect freedom and an all-consuming cause; it offers both grace and cross. And any genuine announcement of the good news, I think, will seek to cultivate a deep appreciation for the paradessence of our faith. It's all the free, unmerited grace of God; and in that gracious embrace we discover one who calls us resolutely to give all we have, with him and through him, for the glory of the Father and the sake of his aching world. And as I muse about this made up word, "paradessence," I wonder: what height and depth and breadth of life with Jesus could we know, if we let the paradessence of the gospel satisfy our "schismatic core," and mark us as his people? Here's the fifth sermon in the series on the Kingdom of God we've been going through at the FreeWay. Our Text was Acts 1:3-11. "The Already People of the Not Yet"
Lately U2's No Line on the Horizon's been getting a lot of airtime on the drive to and from work. Now, it hasn't been nearly as earth-shattering an aural experience as Achtung Baby (the best rock album of the 90s? 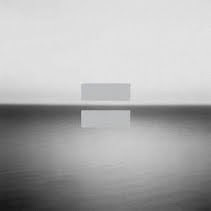 ), but I've really enjoyed this latest U2 effort. Lots of memorable moments: the weird cello on "Breathe," Bono's falsetto lunge on "Crazy Tonight," the rumbling rhythms of "Being Born." Even "Get on Your Boots," though it kinda confused me when I heard it as a single, somehow, in context with the rest of the album, makes perfect sense. Here's part 4 in our series on the Kingdom of God. Our text was Mark 10:35-45. My first sermon series at the FreeWay was a four part-er on the parables of Jesus. One of the things I discovered back when I was putting this material together is that parables are really tough to preach. When they asked Jesus, "Why do you speak in parables, anyway? Why can't you just tell it like it is?" He told them: it's because people see, but they don't see; they hear, but they don't hear. Whatever else he meant when he said this, I think he meant this: If you want to know the things of God, you'll have to listen with more than just your ears-- you have to listen with the ears of your heart. And a parable's a pretty good way to tell who's willing to listen with the heart and who's not. So the tough part about preaching parables is to open up the text in a way that allows people to "get it," without letting us off the hook of needing to "listen with our hearts." To let the text do what the text is doing. It's something akin to the difficulty in explaining a joke: nothing wrings the humour out of a joke faster than needing to explain why it's funny. So too, to a certain extent, with Jesus' parables. As speech-acts, they're like crystal: they refract the light beautifully, but our best efforts to polish them so they shine can easily shatter them. Here's one of the sermons I preached as part of that series. I hope my words didn't shatter His Word. In an attic storage room behind the choir loft of my old church, wedged in between some dusty Christmas decorations and a couple of boxes of tattered hymnals, rests an ostentatiously-framed print of Warner Sallman's Christ at Heart's Door. 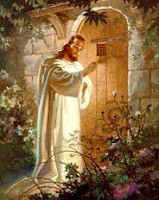 Though there is maybe something (more than a bit) kitschy about this depiction of Jesus knocking at what appears to be Snow White's heart's door, in its day it was like the Mona Lisa of Evangelical artistic expression. I lingered that day in the attic, though, because only a few months earlier I'd read David Morgan's Visual Piety, which examines artistic representations of Christ and explores their function in the religious experience of 20th century North America. The premise of his study is that popular religious imagery like this has power and significance specifically because it "contributes to the social construction of reality." In other words, for all its sentimentality, popular religious imagery like Sallman’s has played an important sociological role in both shaping and affirming people’s religious experience. Morgan develops an aesthetic of “visual piety”- an experience of religious devotion mediated through visual imagery that depends on a “psychology of recognition.” Here the aesthetic experience of the image becomes function not of its formal artistic qualities, but of its conformity to the viewer’s preconceived religious ideal. Thus in the experience of “visual piety,” the picture’s beauty “consists in the satisfying experience of perceiving a particular understanding of Jesus adequately visualized." In American religious experience, “Sallman’s image of Jesus confirms the traditional formula or convention of Christ’s appearance, but tailors it to the modern evangelical notion of Christ as obedient son and intimate friend." So, according to Morgan, when I see Sallman’s Head of Christ, I see my own preconceived understandings of Christ visually projected; but at the same time I receive and accept cultural values associated with the American Evangelical experience of Jesus. In a related discussion, he describes the process of “composition,” whereby a picture like Sallman’s brings together the essential elements of a wide range of historical and cultural representations of Christ, projecting the “essence” of the Jesus that pervades them all. As a medium of visual piety, then, Sallman’s picture becomes a “picture about pictures,” a cultural apparatus by which people can conjure up in a single representation “the elusive presence [of Jesus] immanent in and authorizing countless pictures." On the one hand, I suppose it suggests that before we abandon that Sallman print to the "religious kitsch" table at the next church yard sale, we should at least acknowledge the role it's played in a larger cultural discourse about who Jesus is and how we see him. Perhaps more importantly, though, we should let Sallman illustrate for us how tempting it is to try and fashion this Jesus into our own image, and how much we might miss out on (aesthetically and spiritually) when we do. hekatonarkos, noun, singular masculine: Centurion. Lord of a hundred. Man of control. man in control. like one with authority. under authority. who says go and come, and it comes and goes. who says do. But so, so unlike him. pagan. No Son of Abraham, you. oppressor. Not yours, the Kingdom. heir of darkness. heir of idols. child of wrath. chief of those who stand against the Kingdom. you are un-kingdom: Babylon and Rome. Shall he come to sit at your defiled table? Under your unclean roof? and the demonized having badly. Healed. You cannot ask for cleansing. for you cannot see your filth. This law that called for cleansing was not inscribed for you. The covenant of purity, the ritual of washing are neither your inheritance. Only heal him. My lad lies languishing, lord. Only heal. lies languishing, lord. And there you teach me my story. For the same physician who marveled over your broken, heathen faith. children to Abraham where there were none. A child of Abraham as from stone. A child of the covenant where there was none. Here's last Sunday's sermon. Still talking these days about the vision and values of the FreeWay. This week we were looking at the "W" in "NEWS": "Worshipping Together." About five months ago, as I was preparing for my OCE (Oral Comprehensive Exam) at Briercrest Seminary, I posted an annotated list of the the top ten classes I took in seminary. At the time this represented the list of classes that I felt had most shaped my heart for doing ministry. So here's an interesting exercise: now 2 months into my new life as a pastor, I've been reflecting on the various roles, tasks and experiences I've had since I got here, and I've been taking quiet note of which classes have come to mind the most. That is: which classes have I actually been drawing on to do and be the things that God is calling me to do and be in this new role? 10. Pastoral Theology and Practice: This was a kind of a "pastoring 101" course; not as theologically lofty in content as some of the entries on my first list, but it did give me a helpful framework for understanding my role as a pastor. 9. Sign, Symbol and Sacred Act: Among other things, this class helped me develop a more theologically-rounded view of communion. I've led communion at the FreeWay twice now, and I have to admit that this act of extending Christ's invitation to his followers to come freely to his table and share a holy meal where he is both host and feast-- this is when I've felt most like I'm doing Christian ministry. 8. Contemporary Worship Leadership: I've thought over some of the very practical, rubber-meets-the-road discussions we had in this class about leading through change more than once over the last few months. 7. Organizational Function and Design: I had no idea when I was taking it how important the leadership concepts this class was giving me would be in ministry: I've reread the papers I wrote in this course about three times recently, and each time it's like buckling on Batman's utility belt. 6. Philosophy and Foundation for Ministry: I've looked back to the "personal philosophy of ministry" I developed in this class a lot lately, especially when I'm trying to gauge if I'm really ministering the way I feel God has called me to. 5. Pentateuch: Not exactly sure why this course still ranks as high as it does, except that I've been preaching a number of OT texts lately, and this was the class that taught me how to really "see Christ in the Old Testament." That, and the compelling vision of creation shalom that I picked up somewhere along the way has been an important theme in my heart these days. 4. Theology of Worship: The mediation of Christ. This is the concept that will forever change the reality of the believer it takes hold of. This is the class where it first took hold of me. You can read the paper that changed my world forever here. 3. Homiletics: Still trying to find a rhythm for weekly sermon prep that really works, I find myself going back continually to the homiletical method I learned in this class: Hear the text. Let the text say and do what the text is saying and doing. And if you haven't hit oil in 30 minutes, stop boring. 2. Marriage and Family Counselling: This class taught me the one ministry lesson I've thought about more than any other in the last two months: Listen. Before you give answers, give ear. Just listen. I had no idea how vital this lesson would be, but this was the class where I first learned to see listening as a spiritual act. 1. Shepherd the Flock: Pastoral Theology of Church, Sacraments, Preahcing and Missions: My #5 class from last time is now in the #1 slot, because it was here I learned the lesson about minsitry that has the potential to save: Ministry is our participation by the power of the Holy Spirit in Christ's mninstry to the Father for the sake of the world. It's not us. It's Christ. He's doing it. We just have to see it and join him in it, and the Spirit will make that possible if we'll let him. We've been going through a series on the vision and values of the FreeWay family (i.e. "what we care about and what we want to see God make us into"). The leadership at our church have identified four specific values that define us as a church. And for those that appreciate mneumonic devices, they form the acronym N.E.W.S. At the FreeWay, we care about "Nurturing Community," "Embracing Durham and beyond," "Worshiping Together," and "Serving Others." Last Sunday we were exploring what the Bible has to say about what it might mean for us to "Embrace our communities." A couple of months ago I borrowed Wal-Town from our public library. 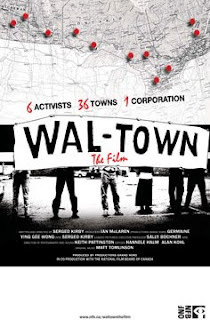 It's a National Film Board documentary about six activists from Montreal who embark on a cross-Canada campaign against that Walmart box-store juggernaut that you may have seen parked on the edge of a home-town near you. This ten minute trailer pretty much sums up the whole movie. Now, I wasn't ready to sign up for the cause by the end of the film, but I thought it raised some important issues about Walmart's response to organized labour, and about the impact of the box-store phenomenon on the common-weal of society. I've shared some tentative thoughts elsewhere about ways our Faith might inform where and why and how we shop for stuff. Wal-town seems to be asking some similar kinds of questions about whether or not the "bottom line" should be our only bottom line when it comes to making decisions about where we spend our money. But these weren't the issues in particular that stuck with me. What stuck with me is the poignant and compelling portrait of youth the film evokes. Here are six college-aged young people honestly trying to make a difference: taking on a larger-than-life multi-national corporation with nothing but a sling of optimism and five smooth pamphlets, because they can imagine a world where things are different. And there's something beautiful there. And there's something beautiful in lines like: "I don't know how to react when people refuse to take information." ""We're gonna stay unless the police ask us to leave..and..uh..thank you." [Customer returning pamphlet to activist]: "You can hand this crap to someone else." [Activist]: "Okay." I was part of a Youth Parliament when I was in university, where we got together and passed resolutions on issues like fair labour, free education, child exploitation-- where we tried to speak into existence the world we could imagine where things are different. This film helped me see that youthful, world-changing imagination as something beautiful. It reminded me of the imaginative vision and determination that a real cause can ignite in youth. And it reminded me of something I heard Tony Campolo say about the church. He was talking about how this generation of youth, more than perhaps any in recent memory, are hungry for a cause... longing for something they can commit to, that will put all their creativity and energy and optimism to the ultimate test. Then he said: if the church looses this generation, it won't be because they made Christianity too hard. It will be because they made it too easy. As I mulled over the closing credits of Wal-town (six activists, 36 towns, 1 corporation), I started to think he might be right. Today marks the end of my first forty days as the new pastor at the FreeWay. Not one to let a biblical milestone slip by unremarked, I`m thinking today about all the biblical 40-day spans that marked major turning points in the history of God's relationship with his people: Noah huddled in the shelter of the ark while the deluge battered the earth for forty days; Moses communed with the Lord for forty days on Mount Sinai, while impenetrable cloud overshadowed the peak; later he interceded for the apostate people of Israel forty days after the golden calf debacle; the heathen giant taunted the children of Israel forty days before David finally silenced him with one smooth stone; Jesus waited in the wilderness forty days before he was tested by Satan; and again his resurrected feet walked among his people for forty days after Easter, before he ascended into heaven. To mark this biblically-significant milestone, I thought I'd post the first sermon I preached, forty days ago, as the new pastor at the FreeWay. It's a sermon, incidentally, about another time when the history of God's dealings with his people reached a crisis after forty days. Back to the Beginning with God?